Ivory Pearl 2018 Lincoln MKC Select AWD 6-Speed Automatic 2.3L Turbocharged MKC Select, 2.3L Turbocharged, AWD, Ivory Pearl, Cappuccino Leather, Equipment Group 200A Select. Recent Arrival! We use over 30 different financial institutions that allows us to offer you extremely competitive rates. We want your trade and we use multiple tools to assure that we are offering fair market values. We price better than any dealer in Mohave County and are priced competitive with Phoenix, Las Vegas and Southern California dealers. We are one of the highest volume dealers in Mohave County and want to keep it that way. We offer a 3 day no questions asked return policy. We offer a NO HASSLE buying process with a NONCOMMISSIONED PRODUCT SPECIALIST TEAM. We pride ourselves on offering a better way to buy a vehicle. For trade appraisals we ask that you send multiple pictures, VIN number, mileage, condition and vehicle equipment. We offer shuttle rides from Las Vegas and Phoenix international airports and have several Hotels in the area that offer discounted nightly rates for our customers. Thank you for allowing us the opportunity to earn your business! 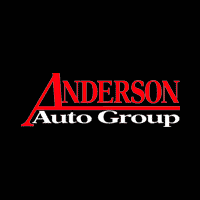 www.Andersonfordkingman.com.